For October 2017 we observed no less than 5.591 price observations. These observations affected more than 3.000 bottles in our whisky database. 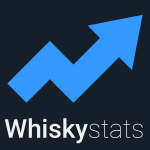 Our overall Whiskystats Whisky Index (WWI) continues to stabilize at around 340 index points. This index now includes 23.333 price observations of the 300 most traded single malt whiskies. Our Fab50 index still profits from the strong months earlier this year (since it is calculated through a rolling average over six months). On the other side, the current absolute value of these 50 prestigious bottles dropped below 90.000 Euros again. The most traded whisky of the month is the recently issued Highland Park Dragon Legend, which was also added to our whisky database this month. The 27 observed trades averaged to around 90 Euros. Also among the most traded whiskies is the Macallan 18yo 2017 Release. After the prices climbed to around 330 Euros in summer, they now fell back below 300 Euros again. With 424 trades Macallan is also the overall most traded distillery of the month. Our Macallan index continued to climb by 2%. There is no doubt that the Ichiro´s Malt Card series belongs to the rarest and most collectable single malt series out there. In October we observed trades for fifteen of the cards and almost all of them reached new record prices. The Three of Spades now sells for around 5.200 Euros. The Five of Spades reached 4.000 Euros. The Two of Hearts will cost you 6.700 Euros and the Queen of Clubs almost 9.000 Euros. There are three Cards for which the prices dropped. The Jack of Diamonds was traded for 4.700 Euros in December 2016. Only ten months later, in October 2017, one of the 403 bottles sold for 4.200 Euros. The Two of Diamonds dropped from 5.100 Euros to 3.200 Euros. Prices for the Four of Hearts seem to have stabilized at around 3.000 Euros. The latest observation now was at 3.100 Euros. When we look at our Islay index we see that in October 2017 it again lost 2,2%. It now stands at around 309 index points which is about the same value as in November 2016. What is interesting is that from November 2016 to March 2017 these 100 most traded Islay bottlings gained 11% in value. Consequently, the same bottles lost 9% from March to October 2017. Another look at our distillery indices suggest that this decrease could be caused by Port Ellen and Bowmore bottlings. As always do not forget to check the value of your personal collections!